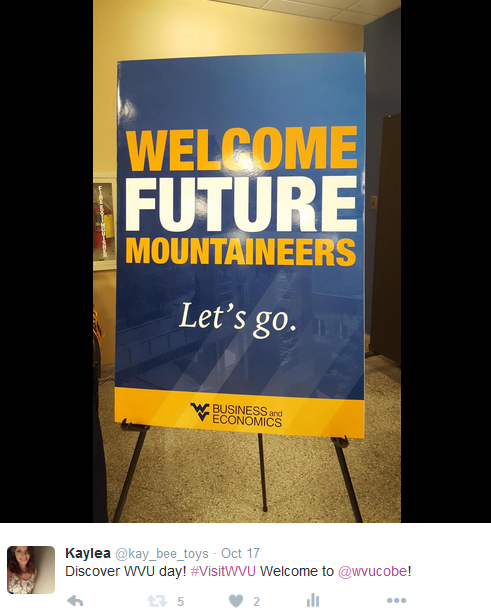 Last spring, I applied to be a WVU Business and Economics Student Ambassador for this semester. I was then accepted. The responsibilities of ambassadors differs with each event. The overall goal is assist potential students in the decision of what college to go to and to answer any questions they may have. 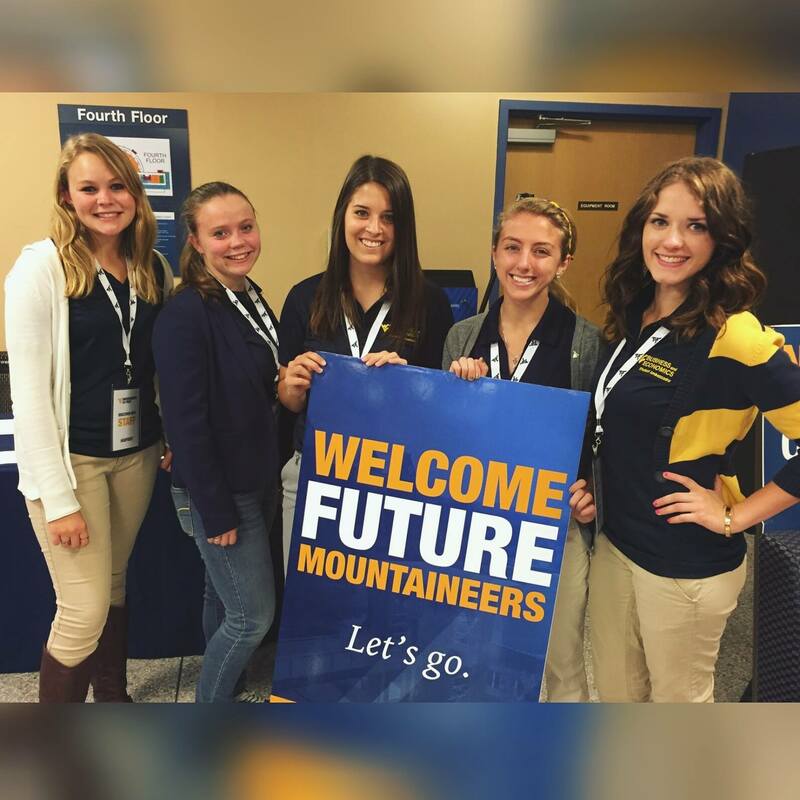 My first event was Discover WVU Day. We were all given navy blue polos to wear in order to be easily picked out from the crowd of people. Flexibility was key, for the morning schedule was changed the day before the event. This effect rippled to tour guides, professors, ambassadors, Mountainlair employees, bus drivers, and more. All things considered, I believe the event was successful. The ambassadors were strategically placed throughout the Business and Economics building. A wave of families started flowing through the doors coming to the registration table. Some were already adorned gold and blue, as if WVU was their choice. (What we love to see!) After their name was collected, we motioned everyone down the stairs to the third floor. Here, there were refreshments and pumpkin treats before the introduction. Starting out the event, students and their guests went into a big lecture hall to get an introduction to B&E. Afterwards, there was a break out session. A panel of ambassadors then went into a lecture hall and waited for the high school seniors to come ask questions. I was ecstatic that a potential marketing major came into the Q&A session. I shared the experiences I have had thus far in school. I mention projects involving Twitter and social media to display how current the major is. Being the PR chair, I also plugged our WVU Marketing Club. A portion of the ambassadors. Overall, I feel as if this position is rewarding. I have a small part in one of the biggest decisions in these young students’ lives. I would recommend any student that is passionate about WVU B&E to apply. Graphic I made for the event. 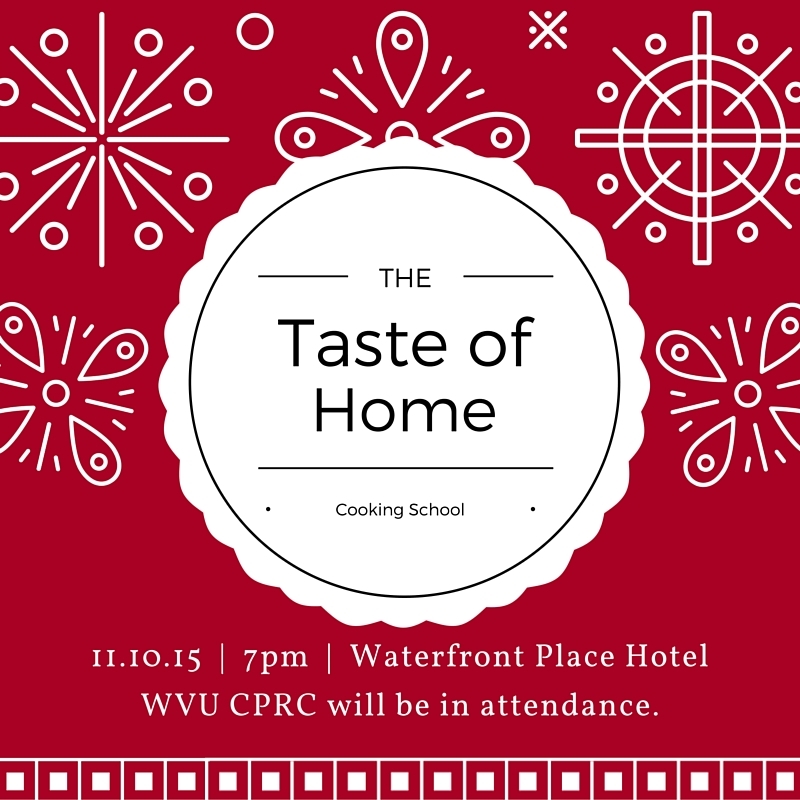 The Taste of Home Cooking Show was recently held at the Waterfront Hotel. On Tuesday, I had the task of setting up WVU CPRC’s booth at an event. For exposure, the CPRC has tables at anything the Community Outreach Manager seems fit. Setting up was left to me. I drove to the office to pick up our promo items and posters. Our booth is much less elaborate than most, for we do not sell products, just share information. Arriving at the Waterfront I had to park in the no parking zone. Not my choice, but that’s where the sign sent me. Morgantown’s awful parking has me too shy to park anywhere I shouldn’t. I do not need a tow truck bill in my life. I quickly unloaded, braving the dreary weather and moved my car to the parking garage. 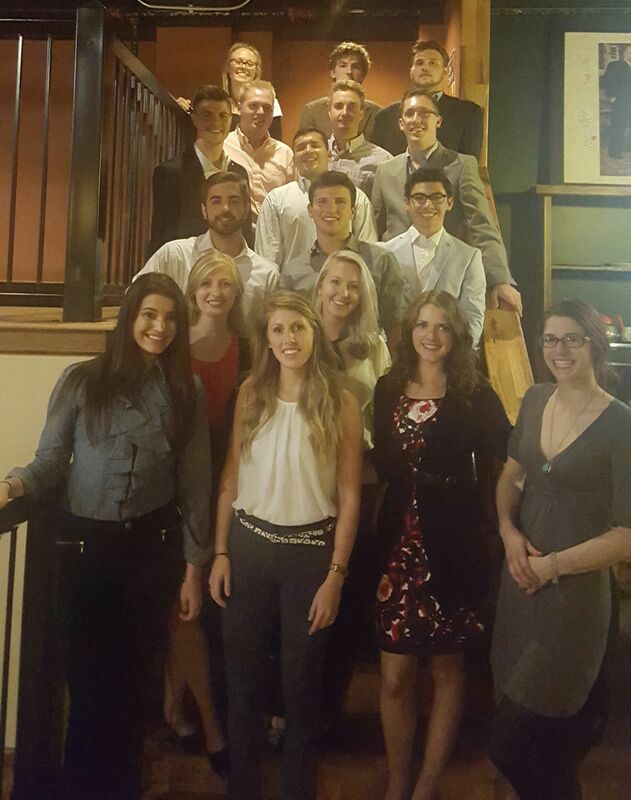 I try to post on social media about everything I do for WVU CPRC. After I set the booth up, I posted a picture on Facebook encouraging guests to stop by. I was disappointed by the lack of posts from the Waterfront and John Howard Motors (a major sponsor). The event doors opened at 3:00 pm to VIP guests. These guests paid more to get an extra hour to explore the vendor room before everyone else showed up, even though the cooking school did not start until 7:00 pm.There were companies selling jewelry, cook ware, food, and more. Some informational booths included insurance, restaurants, a painting studio, and even one for bathroom remodels. Guests casually strolled, some avoided eye contact while grabbing a pen and wandering off. You know the type, they stuff their free bag with anything they don’t have to buy. That’s okay because they could end up lending the pen to someone who is interested in clinical research. It’s great to inform the guests who do stop to talk and ask questions. I enjoy when people see the CPRC logo and say that they or someone they know participated in a research study. By the end of the event, we were completely out of pens and most of our koozies. Saturating the market with the name helps WVU CPRC recruit participants for clinical research studies.